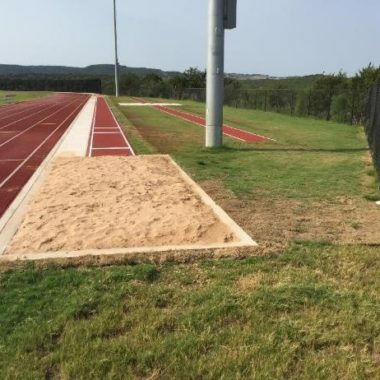 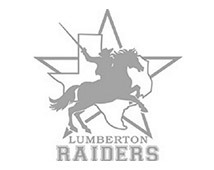 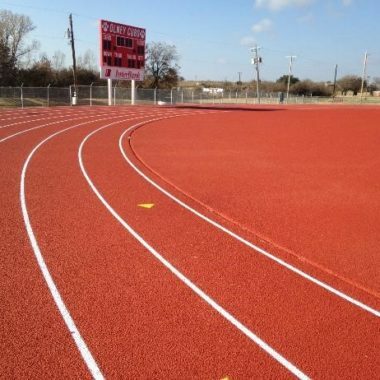 Mobilization and Removal of existing rubberized surface, remove and dispose off-site existing high jump, Lime stabilization at running track area. 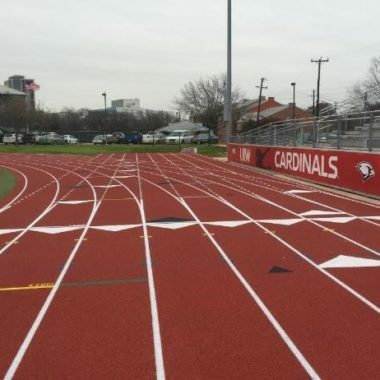 Construct new inside and outside track curbs. 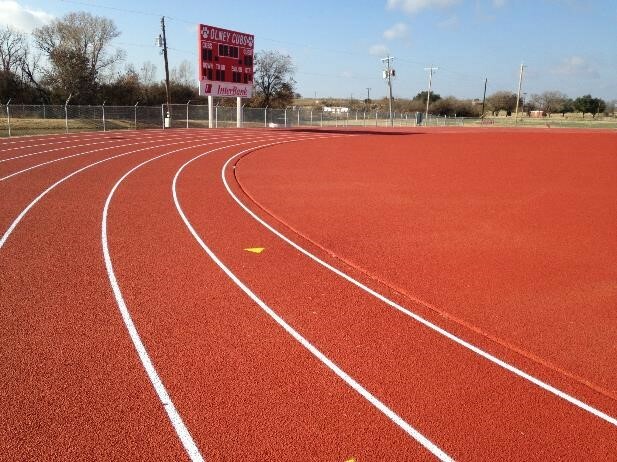 Furnish and install aggregate base to track and provide grade and compaction. 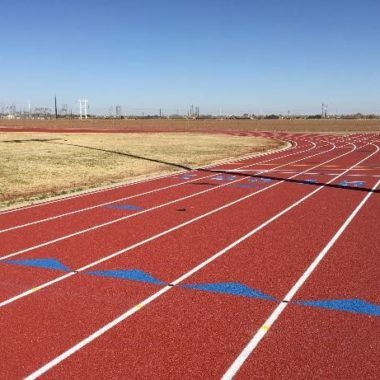 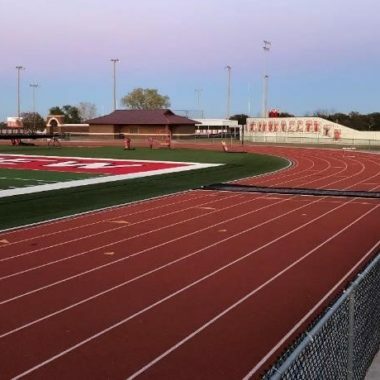 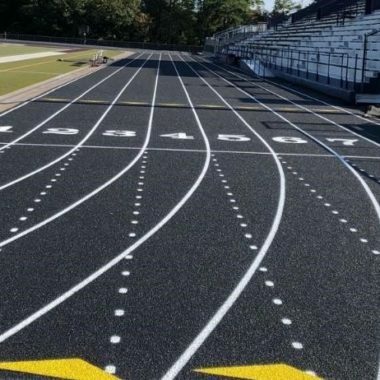 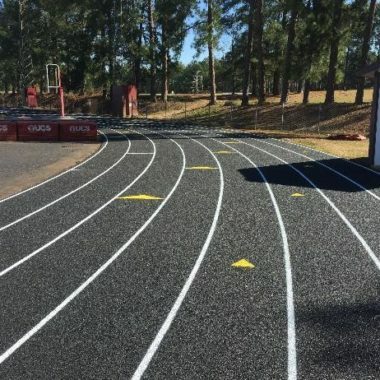 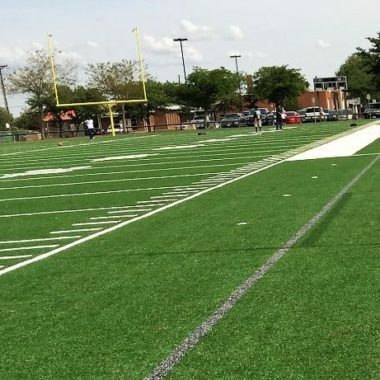 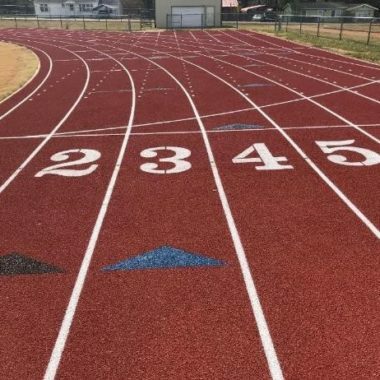 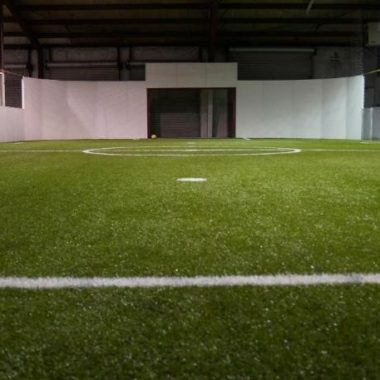 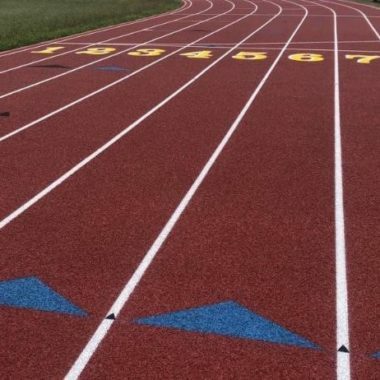 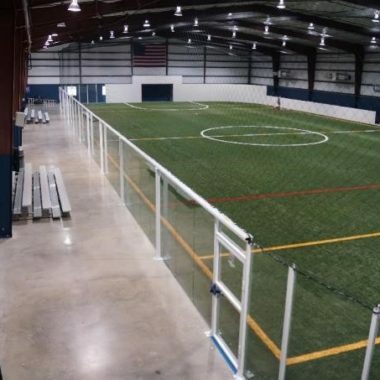 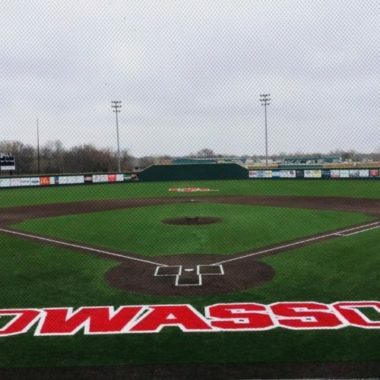 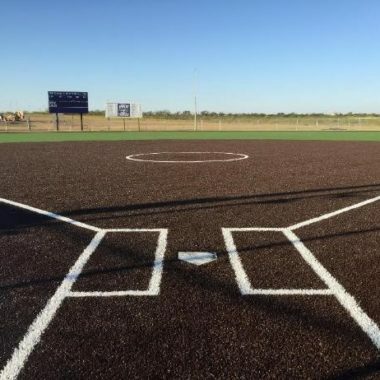 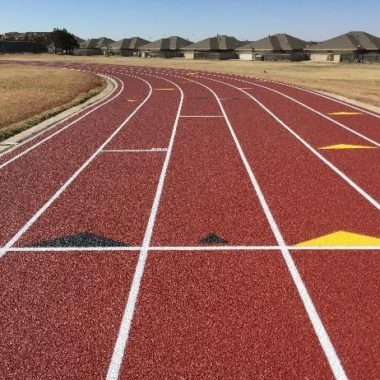 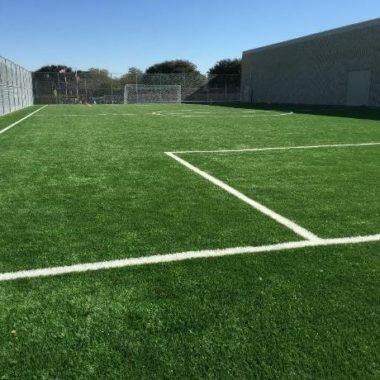 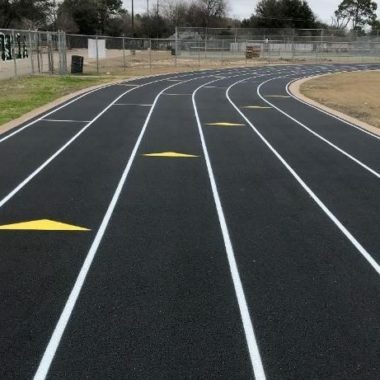 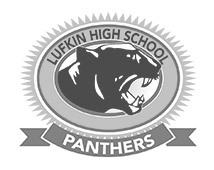 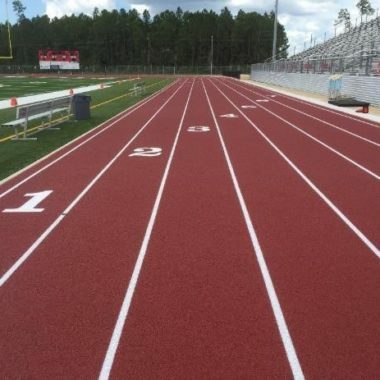 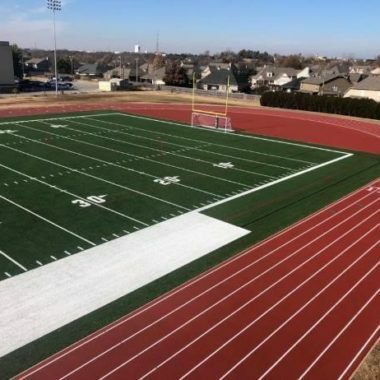 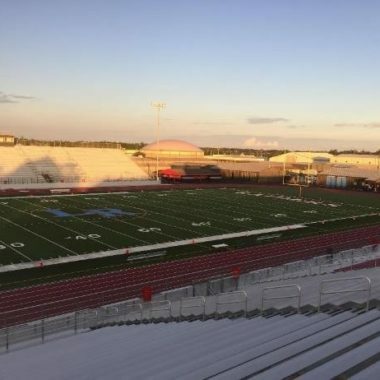 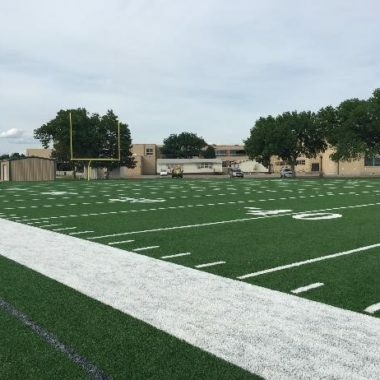 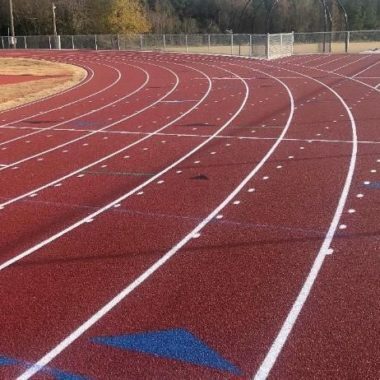 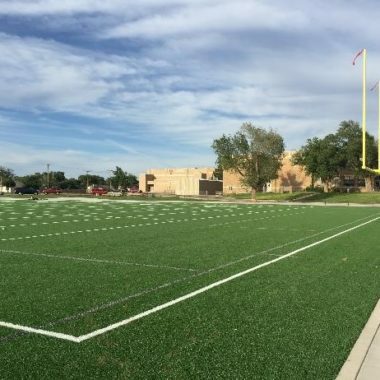 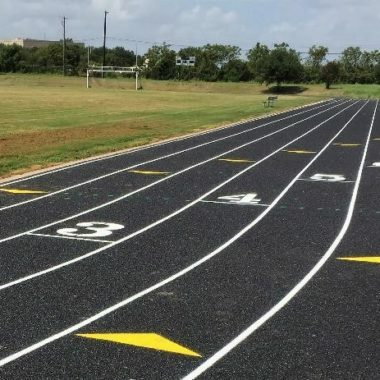 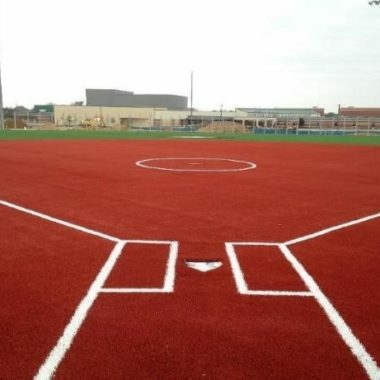 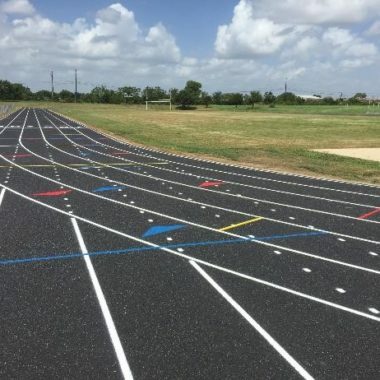 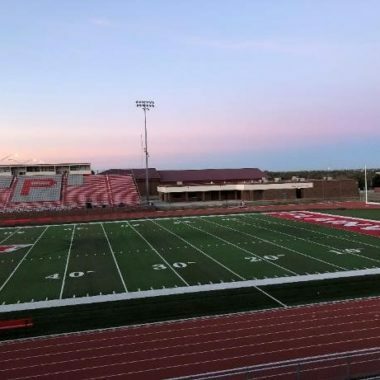 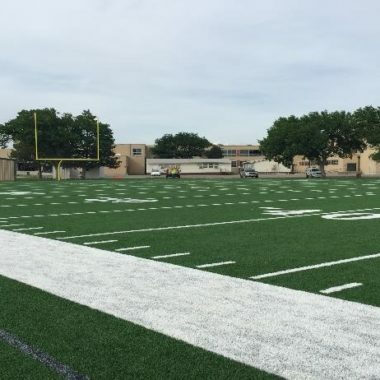 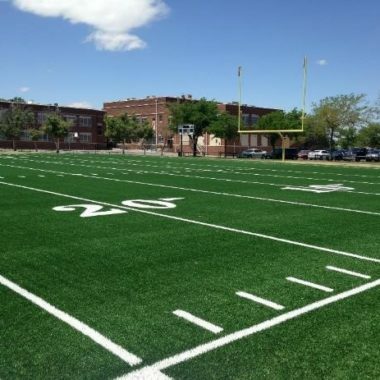 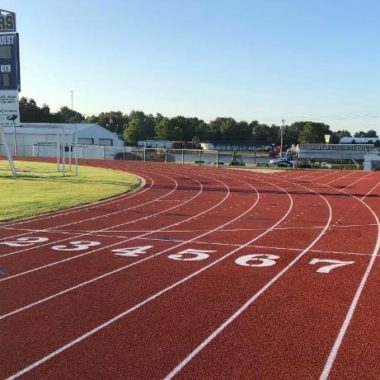 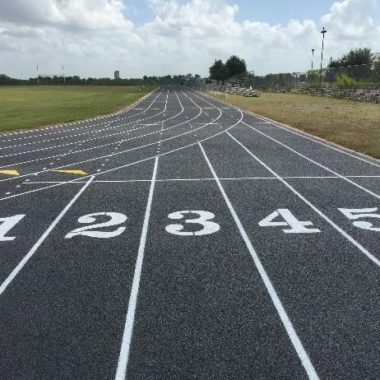 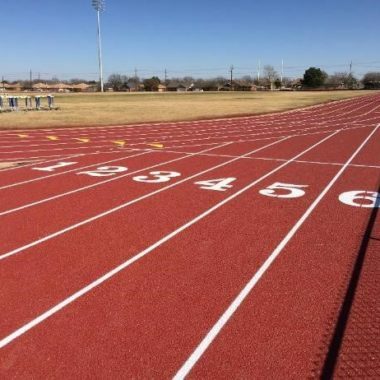 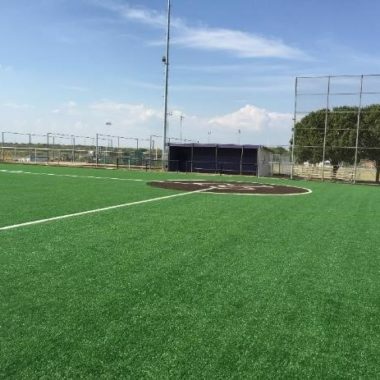 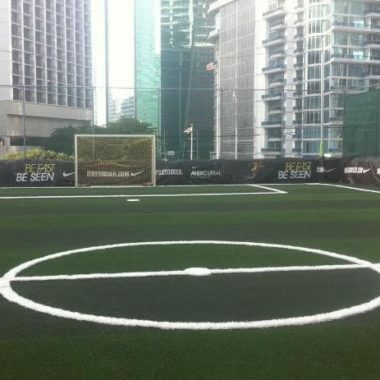 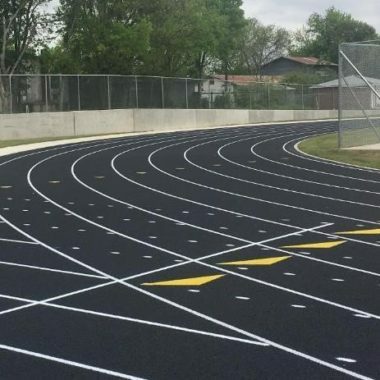 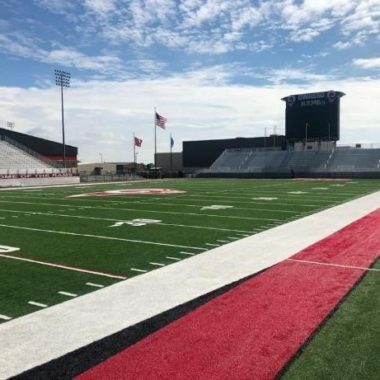 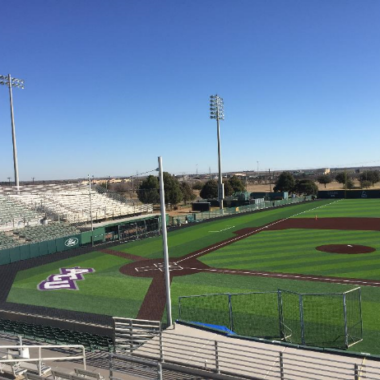 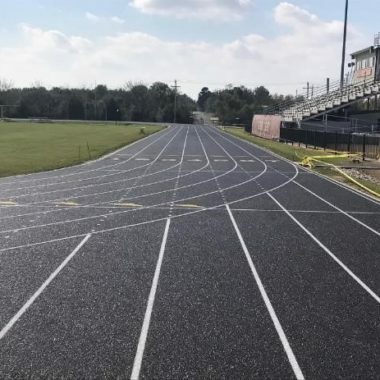 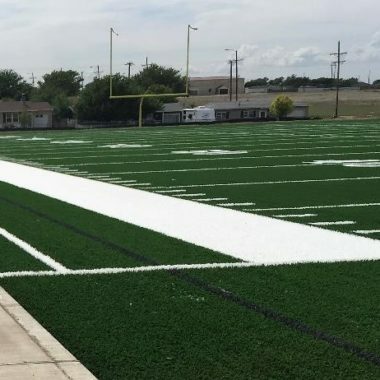 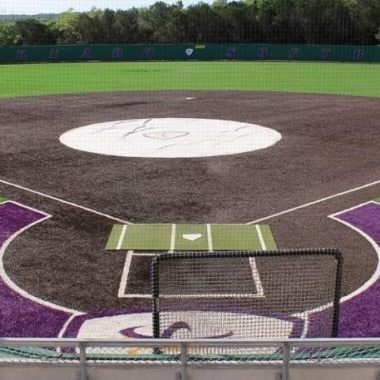 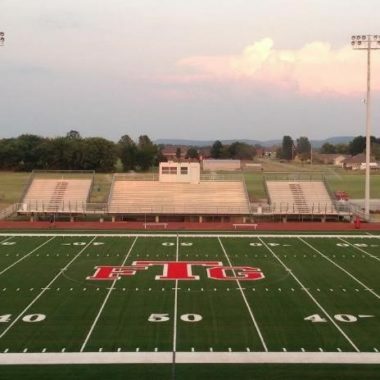 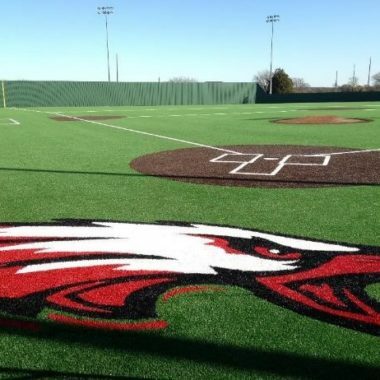 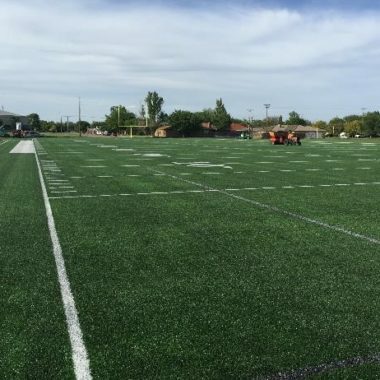 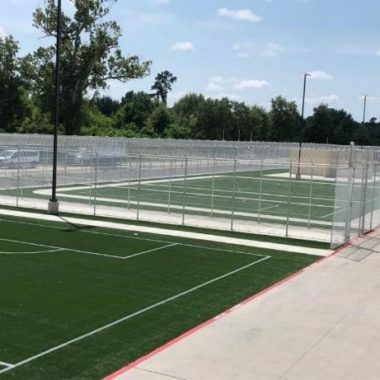 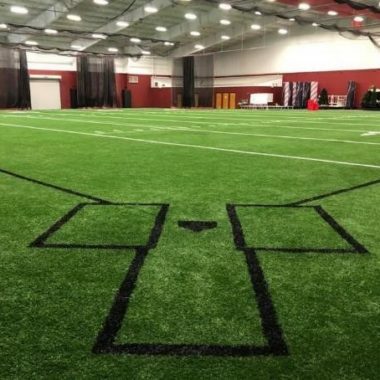 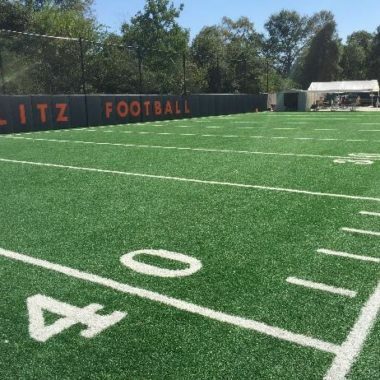 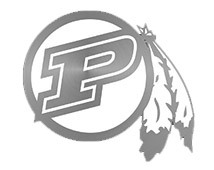 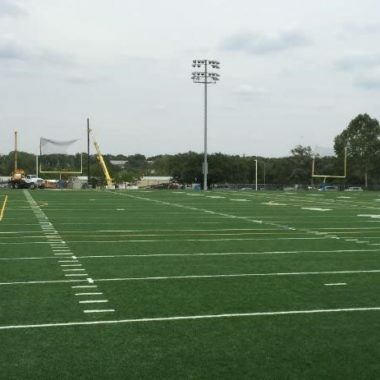 Furnish and install 2″ of asphalt to running track.